IDEF9 method, as well as other IDEF methods, was developed in the framework of the BBC USA program on information integration for coordinated development (The Air Force Information Integration for Concurrent Engineering (IICE)). IDEF9 method is one of the methods, which constitute the technology of the work with existing information and knowledge. In particular, IDEF9 method (Business Constraint Discovery) is developed for calculation and analysis of conditions and limitations in business-systems. The main motivation for development of such method was the perception of the fact, that conditions and limitations, influenced on the enterprise structure, usually are poorly defined and studied. An organization can normally function (which frequently happens) without knowledge about conditions and limitations, which acts in its system, in other words, without knowledge about requirements of this system. Nevertheless, if there is a task to improve the functioning of the production system, to increase its effectiveness and adapt the enterprise to new market conditions, the knowledge about the enterprise system requirements is critically significant. Each object of the production system has its own requirements, and their fulfillment affect the execution of the production task in general. Accordingly, if there is a necessity to change the system behavior (to increase the effectiveness or production) it is necessary to know which requirements of the system objects must be satisfied for this. As a result of using IDEF9 method, system requirements are specified and cataloged. Thus, it is always possible to check easily how much system requirements are satisfied and correspondingly to change work conditions for gaining the necessary result. By knowing the system requirements it is also possible to explain why at the moment the system works this way and how to improve its work. IDEF9 method is an indispensable tool of a business-engineer, as with its help is it possible to define how the system will work and which requirements will have to be satisfied for the system work accordingly to the project. Accordingly to IDEF9 method, requirement is a kind of a connection between system parts, which must obligatory exist at the given conditions set (context). The condition is considered as fulfilled if all conditions of its existence in the given context are fulfilled. Requirement is a connection type, which can be established between system objects, between processes, between objects and processes, between processes and objects properties, etc. In that way, the system is represented in the view of a set of objects and processes, which have definite requirements for system functioning. Also into the system description the purpose of the work of this system is usually included. This is necessary for definition of only those requirements of objects and processes, which are important for execution of the considered task. At the system projecting the requirements define which rules, conditions, limitations and necessary connections the project must involve. The production system represents the set of objects, executing one or several functions under the influence of requirements for reaching the preset goal. Intersystem (between), which connect systems between each other in the capacity of objects of a big system. Also the requirements are divided into enabling and limiting in the context of the considered conditions. Surely, limiting requirements are more obvious and become apparent in the form of following problem symptoms: excess costs, low quality, terms increase, etc. Such symptoms are called evidence of existing of the requirements in a system. The set of opinions, proving the necessity of definition and providing the requirement for system objects is called rationale for the requirement. The consequences of the influence of the requirement on the system are called effects of the requirements. Effects can be direct and indirect, intended and unintended, desirable and undesirable in the framework of the considered context. The requirement does not have an obvious mechanism of provision. Also systems overloaded with outdated or inappropriate requirements lose productivity and waste resources on execution of these requirements. Potential users of IDEF9 method are business owners, organization managers, system projecting and planning specialists and analysts. The knowledge of system requirements may help in Business Process Reengineering (BPR), Total Quality Management (TQM) and in strategic planning..
Information collection (Collect) – implies the collection of data about the system and getting evidence of the requirement necessity. Classification (Classify) - definition of system conditions, objects, objects’ properties, processes and connection types. Hypotheses formation (Hypothesize) – selection of requirements-candidates, based upon received data and evidence. Requirement realization (Substantiate) – collection of examples for definition of the best requirement-candidate. Requirement check-up (Challenge) - checking-up of the requirement with the engagement of the interested persons. Requirement improvement (Refine) – modernizations, checkout, improvement of the requirement and adding details to the requirement characteristics. Accordingly to IDEF9 method requirements are displayed in the form of visual schemes. Requirements on the schemes are displayed by way of rounded rectangles, objects and processes in the form of rectangles. Connections between objects of the scheme are represented by way of lines. The connection, indicating at obliging circumstances, is represented in the form of a line with the black little circle at the end. There are also used junctions, which are shown on the scheme in the form of squares with the definition of the junction type: &, O, X. Here the double-sided rectangle presents the context of a task, the rounded rectangle shows the requirement itself, and rectangles represent objects, which influence on the requirement execution. & junction shows that the requirement needs an influence of all objects, i.e. the account should be signed by each of the three faces. Analogously it is possible to compose a scheme of the selection of requirements-candidates, a scheme, reflecting requirement effects and a scheme showing which requirements should be executed for reaching the general goal. An effective management of changes is significantly facilitated by way of definition and documenting of business-requirements. The knowledge about the business-requirements which exist and how they interrelate between each other in the best way is insufficient sometimes. Nevertheless the requirements trigger, manage and bound the behavior of objects of the business-system and affect them so that the final goal is reached with more or less costs of resources and time. IDEF9 method is developed to help with definition and analysis of the requirements. A circuit diagram or wiring diagram uses symbols to represent parts of a circuit. Electrical and electronic circuits can be complicated. Making a drawing of the connections to all the component parts in the circuit's load makes it easier to understand how circuit components are connected. Drawings for electronic circuits are called "circuit diagrams". Drawings for electrical circuits are called "wiring diagrams". 26 libraries of the Electrical Engineering Solution of ConceptDraw DIAGRAM v12 make your electrical diagramming simple, efficient, and effective. You can simply and quickly drop the ready-to-use objects from libraries into your document to create the electrical diagram. When studying a business process or system that involves the transfer of data, it is common to use a data flow diagram (DFD) to visualize how that data is processed. While initially used exclusively in regards to the flow of data through a computer system, DFDs are now employed as a business modelling tool, describing business events and interactions, or physical systems involving data storage and transfer. 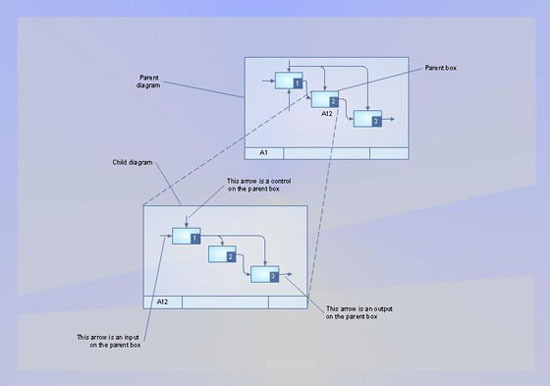 ConceptDraw DIAGRAM v12 is a powerful Data Flow Diagram Software thanks to the Data Flow Diagrams solution from the Software Development area of ConceptDraw Solution Park. You can use the predesigned DFD vector objects that are grouped in 3 libraries of Data Flow Diagrams solution: Data Flow Diagrams Library; Gane-Sarson Notation Library; Yourdon and Coad Notation Library. This sample shows the Six Markets Model Chart. It was created in ConceptDraw DIAGRAM v12 diagramming and vector drawing software using the Marketing Diagrams Solution from the Marketing area of ConceptDraw Solution Park. The six markets model defines six markets that take the central place in the relationship marketing: internal markets, supplier markets, recruitment markets, referral markets, influence markets and customer markets. The six markets model allows the organization to analyze the stakeholders and key market domains that can be important to it.